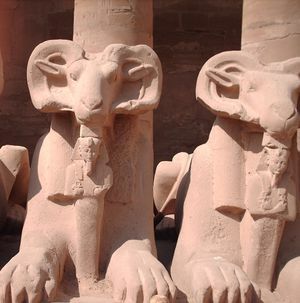 Was Regicide Common in Ancient Egypt? Regicide, the murder or assassination of a king or other royal is one of the final taboos in human history. There are several notable examples of regicide throughout human history, which have made for good historical fiction and drama in modern times. The reality is that regicide is more the exception than the rule, although when it happens, it tends to happen in places and times that are marked by social and political instability, which may make it seem more common than it truly is. Modern depictions of ancient Egypt, especially fictional representations, tend to depict political murder as a conventional political expedient. Enemies of the king, or sometimes the king himself, are routinely murdered, sometimes by being mummified alive, in these films. The reality is quite the opposite. Political murder in general and regicide, in particular, was quite rare for much of ancient Egypt’s history, but during the time known as the Late Period (ca. 728 - 332 BC) regicide became quite common in the Nile Valley. As Egypt was invaded and ruled by wave after wave of foreign dynasties, regicide became a standard tool by which the new sovereign would eliminate not only his predecessor but also all vestiges of the previous dynasty. During the approximately 2,000 year period from the inception of the Egyptian in 3100 BC ca. to the end of the New Kingdom in 1075 BC, there are only three possible documented occurrences of regicide. The reason for this has been debated among Egyptologists for decades, but it more than likely stems from the fact that the Egyptians had a deep belief in the divinity of their rulers. To the Egyptians, their kings were gods, which they first articulated in writing in the so-called Pyramid Texts of the Fifth and Sixth dynasties (ca. 2465-2300 BC). The texts, which were written on the walls and ceilings of the kings’ burial chambers within the pyramids, were meant to assert the king’s divinity and his connection to the gods Osiris, Re, and Atum among others. The ancient Egyptians’ strong belief in the divinity of their kings may have mitigated the occurrences of regicide, but it did not stop the act from happening totally, as one king was killed in each of Egypt’s three kingdoms. The final Egyptian king who may have been assassinated before the Late Period was the second king of the Twentieth Dynasty, Ramesses III (ruled 1184-1153 BC). Ramesses III is best known for successfully fending off assaults from the Libyans and Sea Peoples, but according to the “Judicial Papyrus of Turin,” he may have been the victim of regicide. 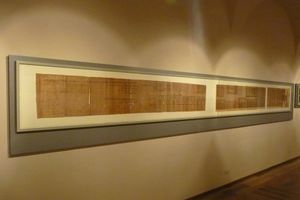 The content of the papyrus is primarily a combination religious-historical text, but there is also a section that details court proceedings brought against court conspirators who assassinated the king. There is no Manetho account that corroborates the papyrus. After killing Bakenrenef, the Nubians held power over all Egypt, but their rule was tenuous at best. The people of Sais, who have come to be known as “Saites,” continued to pose problems and even worse was the specter of the Assyrians to the east. Nekau I, the ruler of Sais and progenitor of the Twenty-Sixth Dynasty, took advantage of the situation by pledging fealty to Assyrian King Ashurbanipal (ruled 668-627 BC). The situation came to a head when the Nubian King Tantamani marched north to challenge the Saite king, apparently killing him in battle. Once Psamtek I assumed the kingship over Egypt, the Nubians retreated to their homeland and never again played a significant role in ancient Egyptian politics. Political stability and a cultural renaissance marked the first few decades of the Twenty-Sixth Dynasty, but by the rule of the fifth king of the dynasty, Apries (reigned 589-571 BC), the political situation had quickly deteriorated. 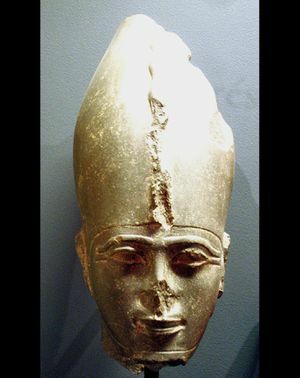 Ahmose II (571-526 BCE) overthrew Apries, who according to Herodotus “strangled him, and buried his body in the family tomb.”  Ahmose II brought stability back to Egypt for a short period, but his successor was unable to contend with more powerful forces from the east. As the Saites and Nubians routinely assassinated each other during the Late Period, the Achaemenid Persians were quickly toppling the long-enduring kingdoms of the Near East. After the Cambyses of Persian conquered Babylon in 539 BC, he turned his eyes to Egypt, which was led at the time by Psamtek III (reigned 526-525 BC). Psamtek III was not a very able ruler, and after Egypt was overwhelmed by Persian military forces, Cambyses allowed him to keep his title nominally as long as he never challenged the Persian king. According to Herodotus, though, Psamtek III was not content to be a figurehead. 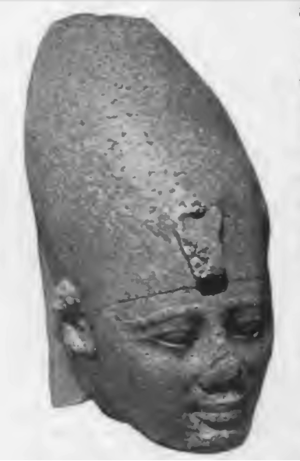 Psamtek III’s regicide brought an end to the Twenty-Sixth Dynasty and ushered in a period of instability and decline that would last until Alexander the Great arrived in Egypt in 332 BC. Before Alexander and the Macedonians came to Egypt, the Nile Valley would witness at least one more case of regicide. The primary source documentation of post-Saite Egypt is often sketchy at best because the dynasties were often too unstable to erect any monuments and Herodotus’ accounts, of course, ended with his death. Other Greek historians and geographers such as Diodorus and Strabo are helpful, but their accounts take the Greek perspective, so important details concerning the Egyptian kings were often overlooked. In the midst of this chaotic period in Egypt, the particularly weak Twenty-Ninth Dynasty was overthrown by an able king named Nectanebo I (ruled 379-361 BC), who became the first king of the Thirtieth Dynasty. Nectanebo I’s usurpation of the throne was commemorated on the hieroglyphic text known as the “Hermopolis Stela,” which indicates that he may have also killed the last king of the previous dynasty. Since the king killed would have been considered a rebel and anathema to the Egyptians, his name was never mentioned, but it was Nefertites II (reigned 379-380 BC), the last king of the Twenty-Ninth Dynasty. Regicide was an extremely rare act for most of ancient Egyptian history. During the first 2,000 years of Egypt’s history as a state there are only three known incidents of a king being murdered, but in the period from 712 to 379 BC there were at least four regicides. 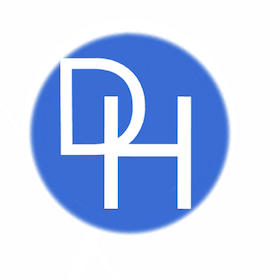 The primary reason for this change was that the dynasties of the Late Period were often foreign, or foreign descended, and therefore were built upon unstable political bases. These dynasties also had a lack of connection with Egypt’s past and probably did not view the king as truly divine the way earlier Egyptians did.